As you may or may not be aware each spring the common stork migrates from the East African Savannah towards Southern, Central and Eastern Europe. Many people cross mainland Europe welcome these multi-continental migrants each year – being the bearers of good luck, life, health and vitality. Once nested, pairs of storks will return for the same nest every year, for the rest of their life. Interestingly Storks have not nested in the UK for over 600 years, until in 2014 when a pair found their way to Great Yarmouth in the UK and are now starting to settle in the UK in small numbers. 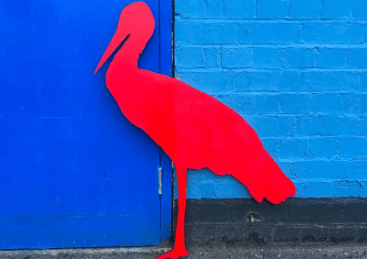 I am offering individuals, venues and businesses across the West Midlands the chance to host a migrant stork sculpture for the spring period of 2018 (March to June) to be located on an external part of your building or grounds, to give the illusion it has just landed and is looking for a home. I am currently working with cultural venues and workplaces across the West Midlands, with some great venues already confirmed from galleries to builder’s merchants (all of whom employ migrant EU workers). I am hoping to get as many venues confirmed as possible to ensure this project has a good regional impact. 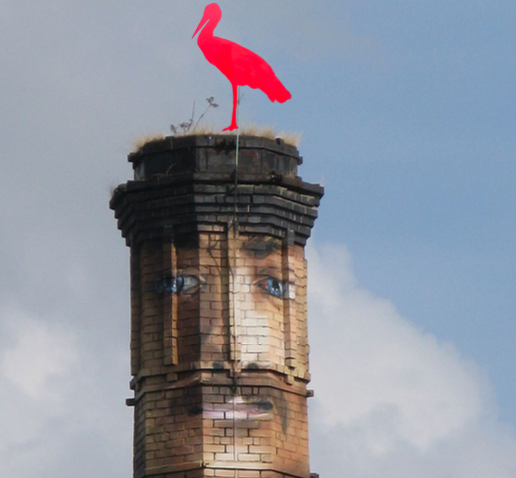 All funds from this crowd funding page will contibute towards the manufacture of the 2D storks, and more importantly associated community events, talks and workshops surrounding the project. The plan is to commission a number of other artists to help co-facilitate these migration based conversations. 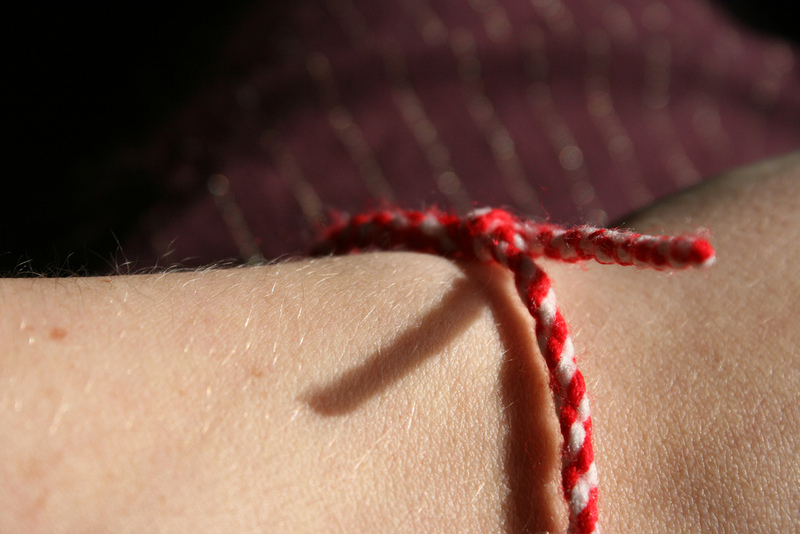 A number of gifts are available for the crowd funding, including a prints, sculptures, adoptions and you can get your very own Martenitsa (March bracelet) a tradition in Bulgaria, Greece, Macedonia and Romania . The bracelet is worn from the 1st March until you see the first stork of spring. Then of course, you will be blessed with good luck. In the following spring (2019) the plan is to bring all of the storks together on a civic building – to illustrate a flock of migrants looking across the region – hopeful yet concerned – about whether they are welcome. As well as being a delightful aesthetic sight for passers by. This cluster of storks will coincide to the moment the UK leaves the EU in April 2019. If you are interested in hosting one of the storks or have any more ideas for the project and beyond? Please get in touch through this site.